In Indonesia, we have been presence since 2004 and operate three offshore Production Sharing Contracts (PSC): In the Makassar Strait the Sebuku PSC with the producing Ruby gas field and the West Sebuku PSC plus offshore Aceh the Andaman I PSC. We also have a non-operated interest in the Andaman II PSC. Assist Sr. Manager – Finance & Accounting to provide the direction and day to day monitoring of the Company’s Financial and Accounting, with overall responsibility for accounting, compliance, audit, financial analysis, report, and forecasts. Coordinate Business Plan, Annual WP&B, and Latest Estimate to Indonesia Management for decision-making in a timely manner, and monitor variance expenditures on monthly basis. Maintain professional relationship with Partner(s) and internal team at Mubadala Petroleum. Responsible for Cost Time Request (CTR) process. Prepare necessary Debit Notes / Credit Notes. Coordinate and prepare yearly Business Plan with Business Planning Department, including the preparation of budget slides pack for management. Prepare Plan on Plan variance for management review. Prepare Annual Budget and Latest Estimates (LE0, LE1, LE2, LE3) in Oracle Macro, Jedox, and Hyperion. Coordinate with JV Manager in preparing JV Work Program & Budget for Partner(s)’s approval. Responsible on Corporate Closing, including Trial Balance upload and promotion to RL2 for Indo Holding. Ensure consistent application of accounting policies and procedures in accordance with International Financial accounting standards. Expenditure analysis to support Flash Report. Manage and review all accounting and booking activities (including JV and/or corporate book accounting, farm-in/outs, acquisition and disposal accounting). Support external lead regional auditors in the timely completion of interim and final audit of the financial statements of South East Asia group. Liaise and provide the auditors with relevant financial information and finalise financial statements. Facilitates JV audits initiated by non-operating partners. Bachelor Degree in Accounting, with Master Degree is preferable. Minimum 10 years of working experience with minimum 5 years in IFRS. Have experience in Accounting Firm, strong IFRS knowledge. Strong knowledge of Oil and Gas Company budgeting & reporting. Have experience in PSC Company is preferable. Strong communication skills, able to communicate in English both oral & written. Able to work effectively across the organization, corporate, partners and other function. Able to operate Microsoft applications. Provide IT and systems support to staff, maintain infrastructure servers for the software and hardware, oversee the storage of data and continuously maintain the library and system back-ups. Establish and maintain IT systems by checking servers performance, supporting users, and liaising with counterparts at regional/global IT, to ensure that the appropriate level of systems is in place. Build and maintain appropriate data management solutions, store technical data (including daily systems back up) in the form of a library to ensure that important information is kept in a logical, secure and easily accessible manner. Provide fast and effective IT supports including the provision of new hardware and software and well maintained IT solutions. Maintain other non-IT specific technical requirements for Indonesia office including the telephone system, door access control system, projectors, camera system. Contribute to the management of IT vendors including recommending the selection of vendors, participating in the procurement process for hardware, software and third party services. Implement approved departmental policies, processes, procedures and instructions and monitor their adherence in a controlled manner. Contribute to the identification of opportunities for continuous improvement of IT systems, processes and practices taking into account ‘international best practice’, improvement of business processes, cost reduction and productivity improvement. Prepare departmental statements and reports of IT and Systems activity accurately and in timely basis to meet the Company requirements, policies and standards. Comply with all Company HSSE Policy, Standards, and Procedures. Bachelor’s degree in Information Technology/Systems, Electrical Engineering or relevant disciplines. Minimum five (5) years of experience in IT: ICT Systems Management, Domain Controller & Active Directory, , Microsoft Exchange, Windows Client O/S, Anti-Virus System Management, Virtual Server (VMWare), Backup System, LAN & WAN Network & Security Systems Management, Basic Telecommunication Systems, IT Service Desk Management System (ITSM). Certified in in MSCE and CCNA. Any certifications in Windows/Linux Operating Systems, CompTIA+, ITSM and Telecommunication Systems would be an advantage. Good communications skills of oral and written in both English and Bahasa Indonesia. Position is for Indonesian National only. Applications will be closed on 28 October 2018. 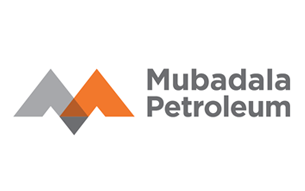 Thanks for reading Mubadala Petroleum Jobs: 2 Positions. Please share...!